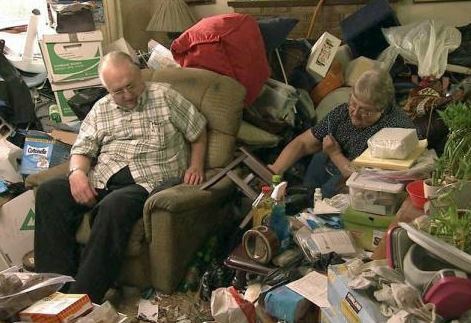 ​This type of clean-up concern, additionally known as "gross mess", is mostly developed by actions of an individual that has a hoarding disorder. An individual with this disorder will usually prevent choosing about what they ought to maintain, exactly what need to be thrown away, and exactly what need to be donated or marketed. The condition produces a discrepancy of values. In the midst of the indecision, they end up being convinced that they have to keep every little thing, instead of choose concerning the disposition of items. The heaps of products expand high, wide as well as deep, typically with just one or 2 paths continuing to be that lead only to the major spaces necessary for their income, such as the cooking area, the shower room, and also the bedroom. Our professionals have cleaned up thousands of hoarding residences in Phoenix, and also along the road we learned that one of the most vital aspect of cleaning up these residences is to collaborate with the property owner and also include and also encourage the homeowner as part of the clutter-removal choice process. One crucial aspect we learned early on is that what looks pointless to us may be very useful to them. For that reason, by partnering with the home owner, it enables them to trust us as we make decisions with each other as the removal process progresses. Since labor is the biggest expenditure, we pursue the ideal balance in between utilizing our own discernment quiting to ask for direction; or else it reduces the procedure enormously. Finally, when we near conclusion, we constantly try to prepare the remaining products to make sure that they are arranged inning accordance with the property owner's desires. We always desire them to make the decisions to ensure that they can reside in consistency with the results. Our final objective is to not just to get rid of the clutter but likewise to entail the house owner to the point where they feel they have shared the decisions, and also may have learned how to make these choices on their own as they move on in life. Home Repairs - Paint, Drywall, Carpet, Electrical, Plumbing, Etc.